Rob Dye has recently returned from Dubai where he was training dogs for the HH Sheika Maitha bint Mohammed bin Rashid Al Maktoum the daughter of the ruler of Dubai. Rob located a Presa Canario in the Canary Islands for her highness and trained it in Dubai. In addition, he has trained dogs for many eminent people in the United Arab Emirates including the captain of the world famous Dubai Polo Team Mr Rashid Al Bwardy and other Dubai residents. As a highly qualified trainer Rob has studied the best methods to use for training dogs and use the most appropriate for the individual dog and for the owner. He ensures that the dog is trained exactly to the client’s requirements. This practical experience which is combined with an extensive knowledge gained from the study of the work of the finest trainers in Europe and the USA. This knowledge enables him to assess the training needs of a dog and tailor them to the customer’s specific requirements. Robert also trains family protection dogs training them to protect families and businesses from intruders or burglars. These dogs are highly trained to work on command only and will only protect when told and will stop instantly when told. He has trained dogs for many prominent people thoughout the United Kingdom and Europe. Over the last 15 years Ruth has studied many different training methods including attending courses such as “Thinking Like Canines” (TLC) by the world famous Barbara Sykes. She also gained a distinction in and has a Diploma in Animal Behaviour. She has expertise in dog and puppy nutrition from working with the experts at the highly regarded “Hills Pet Nutrition” (https://www.hillspet.co.uk/). 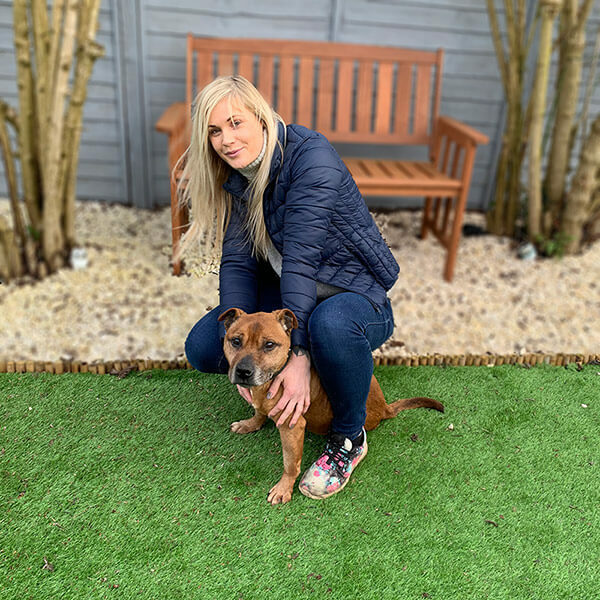 Ruth’s training expertise has been perfected by working with rescue dogs since 2003 and she has rescued, re-trained, and re- homed over 400 dogs in that time. Kyle has worked with Rob for over 4 years and is an experienced dog trainer. He has been involved with dogs from an early age as his family own and run an exclusive boarding kennel in Leeds. He has experience in training all breeds of dogs both as puppies and adult dogs in obedience and stopping bad behaviour.